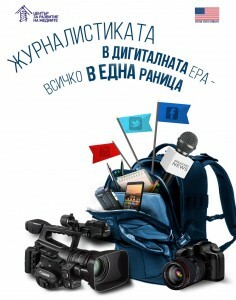 Professional discussion and seminars “Backpacked Journalism” will be organized by the Media Development Center with the financial support of the US Embassy in Bulgaria. 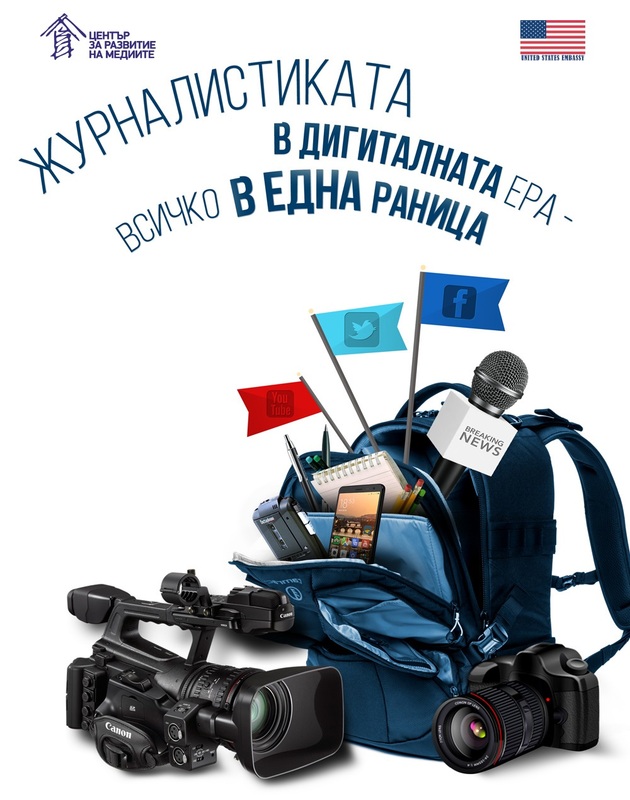 – October 7, 2016, Varna – seminar for representatives of regional media from Southeast and Northeast Bulgaria. The trainings will be conducted by Kevin Sites, American author and freelance journalist. He has been covering armed conflicts from all over the world for ABC, NBC, CNN, and Yahoo! News. Called „the grandpa of backpack journalism“ by the press, Sites paved the path for fearless reporters who work independently and carry in their backpacks digital technology to shoot, write, edit and send multimedia messages from the most dangerous places around the world. – TV, print, radio with video, text, audio. All this will be presented in the light of the challenges that every journalist is facing while working in the modern era of rapid development of technology. For further information and registration, please contact the Media Development Centre.